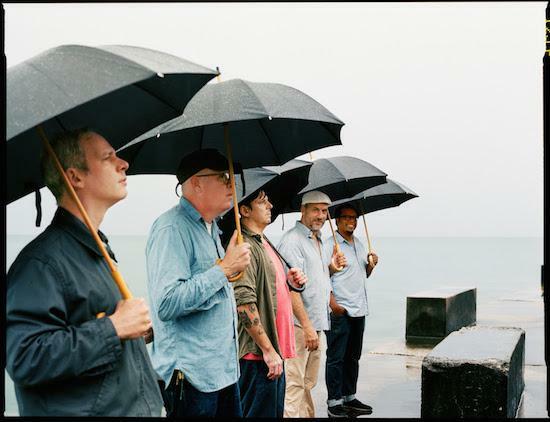 During a tour of the US' West Coast last year in support of their album The Catastrophist, released that same year, Tortoise begun assembling a new photo book that would intimately capture their moments on the road. The book, made up of photos captured on the tour, and also featuring a download coupon to claim unreleased live recordings from the tour, as well as a CD of the album itself, will include exclusive new artwork. The tour took place as part of a wider set of dates around the world with the band visiting the West Coast of the US in April and May of 2016. They were joined by photographer and frequent collaborator Andrew Paynter throughout the tour, who had been introduced to them in the past by mutual friend Tommy Guerrero. Paynter has previously worked with Tortoise on projects such as A Lazarus Taxon and Beacons of Ancestorship, with this latest project comprising photos of the band captured on and off stage by the photographer. The 80-page book takes in a number of Paynter's black and white photographs and will be available soon. You can pre-order it here.